The Sustainable Development Goals (SGDs) are a group of 17 targets, or ‘Global Goals‘, set by the UN in 2015 designed to improve the health, livelihoods, and environment of all nations across the world. Sustainable Development Goal Number 6 is to ‘ensure availability & sustainable management of water & sanitation for all‘. Yet, those two words ‘sustainable management‘ often get forgotten. It’s imperative that locally appropriate management practices are in place to ensure that any infrastructure that’s implemented actually stays operational. These might take a variety of different forms: it might mean working hand-in-hand with local authorities so that they know what’s going on & where, training up people so they know how the stuff works and what to do when something goes wrong, and maybe even developing business models that mean there is a pot of money to help cover costs of maintenance and keeping infrastructure running. 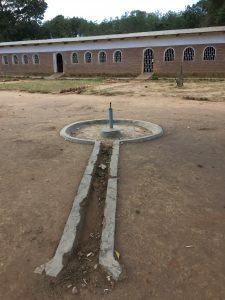 There is huge frustration in seeing well intentioned projects install water/sanitation infrastructure but not also ensuring and enabling the long-term viability of it. Such practices may mean that, a few months down the line, that nice new water pump is broken and no one locally can afford to fix it. One organisation that we’ve met with and really admire their work is Fisherman’s Rest in Malawi. 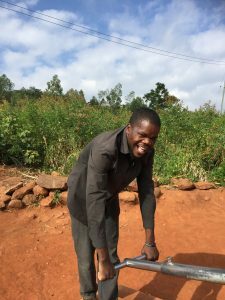 They generate funds from a variety of sources (including grants and operating a guest house) that they use for installing water points in rural areas. They are meticulate in monitoring where they work, what they implement, and who they’re working with; they even note information about their supply chains so they can monitor the efficacy of component parts. For example, if ball bearings from a particular supplier keep wearing out quickly, they will know – and will know not to use that supplier in the future. They’re also establishing a small call centre so they can call up the local communities that they work in and get updates on whether things are working OK. They collate all of this data on their mobile app, Madzi Alipo, and it’s open source too! We put sustainability at the heart of our business, and we’re always keen to learn from those that have experiences with what works and what doesn’t.